Includes a 2-way loader for cartridge and suction loading. 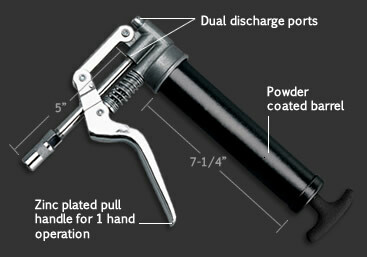 Features aluminum die cast head with front and top ports, and non-slip powder coated barrel. Perfect tool box size tool for hard to reach jobs!